One of the highlights at Lamiera Milan is our unique AutoPOL off-line bending software, a modern 3D system for off-line press brake programming and unfolding of 3D CAD files. The additional Batch & Remote functionality enables automatic processing of multiple parts. All tasks are performed without user input, results are reported back and production data created. It dramatically reduces programming costs and reports the overall outcome for each step in the process. Smart Bending with the innovative 3D off-line programming guarantees full and reliable process control. 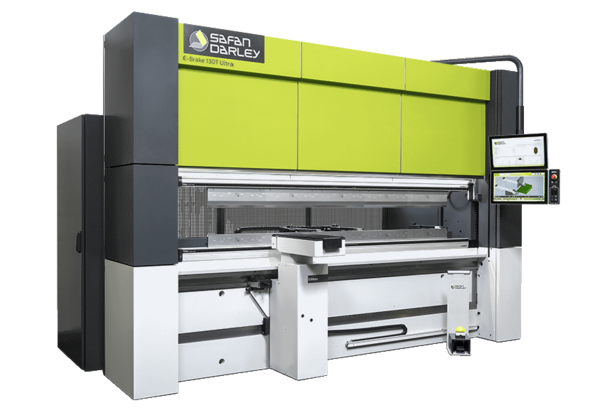 During EuroBLECH 2018, SafanDarley introduced two product lines. The revised range consists of the “Premium” base line and the high-end “Ultra” line. SafanDarley will present the 100% electronic E-Brake 80T Ultra, which only uses energy when the top beam is actually moving. This can deliver an energy saving of around 50% compared with conventional hydraulic press brakes. This machine is equipped as standard with a CNC-controlled crowning table, which automatically compensates for varying load situations. With the optional 3D back gauge it possible to achieve the perfect back gauge positions, even for the most complex products. For ultimate accuracy, the machines in the Ultra range, can be equipped with the E-Bend L Blue angle measurement system. The perfect solution for working as efficiently as possible, at the lowest possible cost. The E-Bend L Blue angle measurement system uses two blue laser sensors one each side of the table. The blue laser sensors offer an important benefit compared to the usual red. The blue light spectrum of the E-Bend L Blue is much easier to distinguish from “natural” light, so reflections and sunlight do not interfere with the measurement. This guarantees a final product with the highest angle precision. In addition to all the machine innovations, we will also present an Industry 4.0 interface, the E-Control GateWay. With this interface your overall press brake production will be more efficient through better planning, shorter downtime, greater flexibly and faster adjustment. A solution to take a big step towards a connected factory. 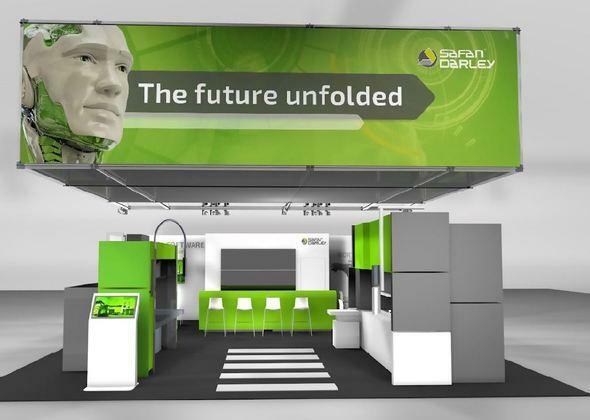 Visit SafanDarley at Lamiera Milan from 15th till 18th May 2019, Hall 15, Stand E140 and discover our latest innovations for the sheet metal industry!